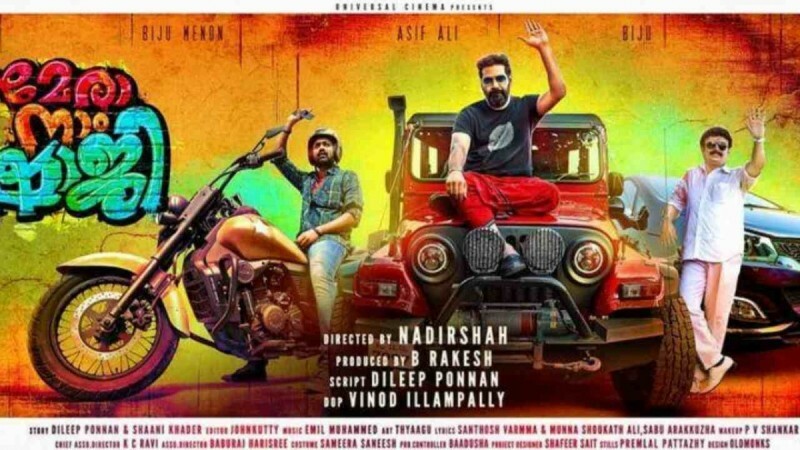 Mera Naam Shaji movie review Live Updates: Director Nadir Shah's Malayalam movie Mere Nam Shaji (MNS) is a comedy-drama film featuring Asif Ali, Biju Menon and Baiju Santhosh in the lead roles. Director Nadir Shah's Malayalam movie Mera Naam Shaji featuring Asif Ali, Biju Menon and Baiju Santhosh in the lead roles, has received a mixed review and rating from the audience. Mera Naam Shaji is a comedy-drama film and Dileep Ponnan has written the story (in collaboration with Shani Khader), screenplay and dialogue for the movie, which has been produced by B Rakesh under the banner of Universal Cinemas. It has received a U certificate from censor board and its runtime is 2.14 hours. Mera Naam Shaji movie story: The film is about the lives of three men Shaji George (Asif Ali), Calicut Shaji (Biju Menon) and Shaji Sukumaran (Baiju). It is all about how the same name intertwine leads to a series of hilarious incidents forms the crux of the story of this flick. Performances: Asif Ali, Biju Menon and Baiju have delivered fantastic performances and their comic timing is the highlight of Mera Naam Shaji. Sreenivasan and Nikhila Vimal have also done their best and they are also among the big assets of the movie, says the audience. Technical: Mera Naam Shaji has good production values and picturisation, background score and punch dialogues are the attractions on the technical front, add the viewers. #MeraNaamShaji A jus abt ok 1st half followed by a not so ok 2nd half.. Last 10 mins is ok.. Overall : An somewhat ok one time watch if u watch with no expectations.... Will have a decent run i guess coz it's summer vacation Baiju Santhosh was good..
#MeraNaamShaji Interval: A strictly average first half. Nothing went good for Shajis till now. Waiting for 2nd Half #MeraNaamShaji Review: Expected a lot from #AAA #KRR Director & Biju Menon - Asif Ali - Baiju team. But it was a Big Disappointing from #Nadhirshah & team. Except "Manasukkulle" song & 1-2 counters from Baiju, nothing is impressing. Below Average.